WHAT is the defining image of the protests against Egypt’s President Mubarak? It is the photos of the Christians and Muslims united for their country? Is it the photos of the camel rider breaking heads in Tahrir Square? Is it the broken heads? The marketing? What about the protest signs? And can anyone forget Glenn Beck’s magnets? 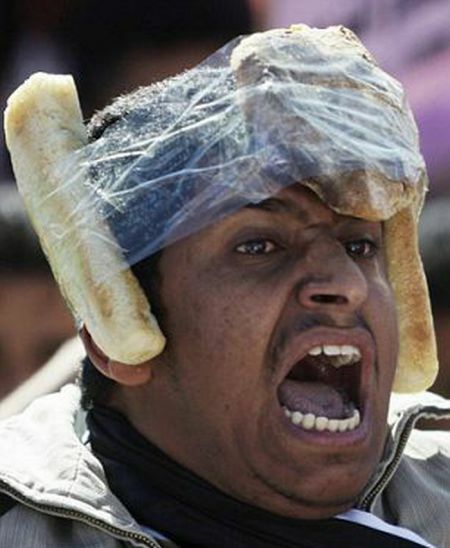 Or is it one of these photos of the homemade helmets worn by anti-Mubarak campaigners?